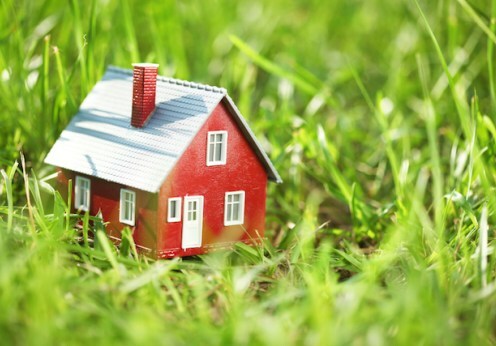 Should You Buy a Tiny House? Editor’s Note: This is a guest post. In recent years, trends in the real estate market have shifted the focus from apartments to houses. 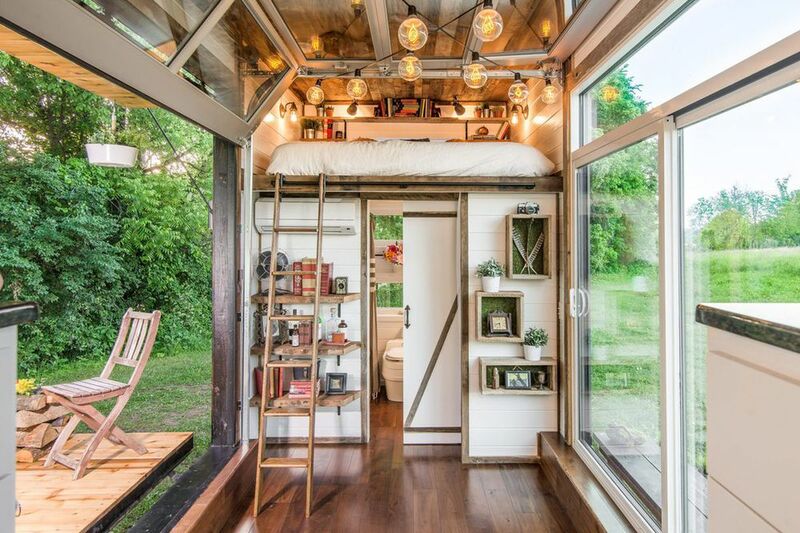 Owning a tiny house has become a trend and a social movement as well. In this chaotic time, people are looking to simplify their lives by downsizing their living space. The smaller the house, the smaller the area you need to clean. Basically, you will have to regularly maintain your tiny house if you want to keep it functional. And that will shorten the time you need for thorough cleaning significantly. Since you will have to compartmentalize things in the smaller place to avoid creating clutter, you will always clean after yourself. But even that won’t be enough to tire you down or take too much of your time. You pay your property taxes based on the size of your real estate, and with a tiny house, that expense will be lower. For many, the taxes for owning a big home can be overwhelming and burdening to their budget, although it all depends on the country. But the tiny house is tiny in everyone’s book so you will be able to get that trouble out of your mind and budget. The moment you remove excess stuff from your life, you will feel as though you started breathing again. Over time, we become slaves to things and we forget what it’s like to appreciate the little things in life. With a tiny house, you will have only what you need and won’t be bothered with keeping things that you can do without. The moment you decide to downsize your living space, you will figure out how to deal with the stress in your life. If you can change your lifestyle and accept to leave more modestly, then deciding what is worth your time is the next step. That way you will live a happier life surrounded by the things you truly care about. It may be weird that people are embracing a simpler life in this modern age when we are surrounded by the technological commodities. But the truth is that too much of everything can be suffocating and only put us before impossible choices. With a tiny house, you must know what you want and choose that without a doubt in order to preserve the freedom of your space. 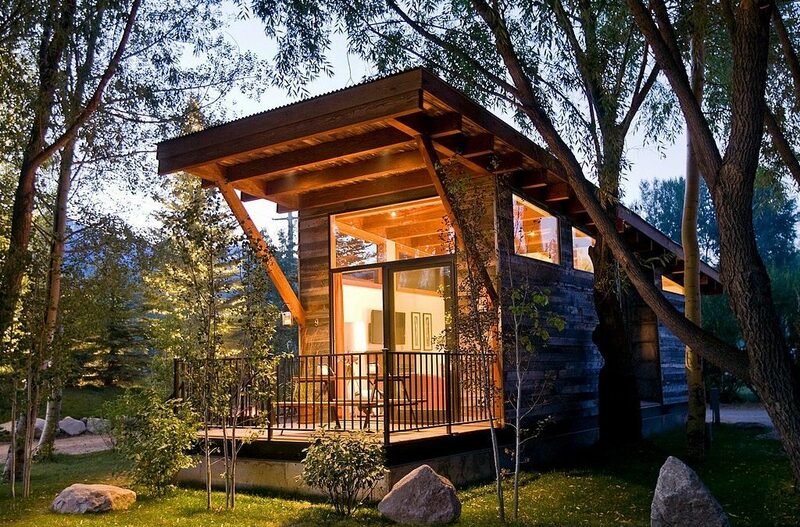 Tiny houses are ideal for embracing the eco-friendly lifestyle. You can use solar panels to produce your own electricity and rainwater for the showering. Instead of using toilet paper, install a bidet seat on your toilet bowl since that will preserve the trees and the environment. Since you will use less energy, you will send far fewer pollutants and gas emissions into the air. 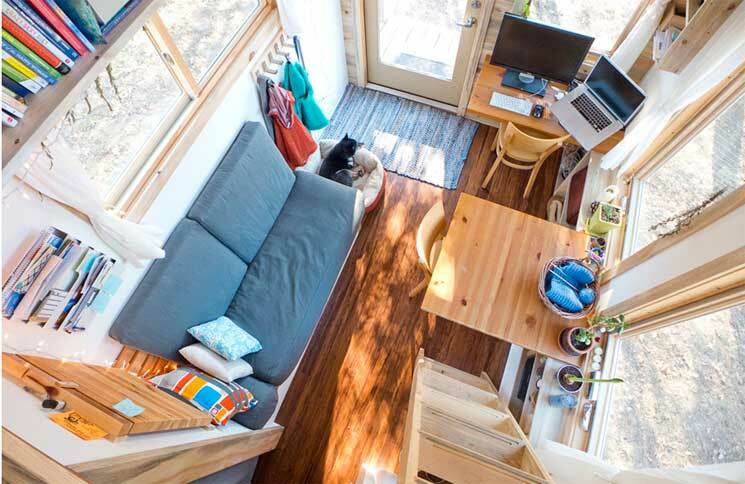 For example, some tiny houses can run on only 20 amps which is basically the power of one outlet. Compared to that, larger houses spend from 100 to 200 amps, depending on their size of course. In the winter, all you want is to heat your house the fastest you can but not to spend a fortune. With a tiny house, you will do this quickly and cost-efficiently without negative impacts on the environment. A split-cycle AC unit would be enough to heat a tiny house, or even an oil heater. Of course, it all comes down to the design since you can even have a small fireplace or furnace that will do the job. Just make sure that it fits your budget and living style since even the tiny houses have décor and style. Instead of being cooped up inside most of the day, you will spend more time outside and adopt some healthy habits. You can sit in front of your house and read, go for a walk or simply use the beautiful weather to go to nature. If you can move your house, then you can travel from place to place and enjoy exciting landscapes and outdoor activities like hiking. Sarah Jessica Smith is a young blogger from Sydney. She is in love with life and all the things that can make your daily routine easier. She loves to write about home improvement, lifestyle, and all the small things that make life such a great adventure.